It gets cold in Colorado, and you count on your heating system to help you when the temperatures drop. You don’t want to turn on your system only to find out it isn’t blowing out hot air. You can avoid that issue with the help of a Broomfield heating contractor. Our professional service team is dedicated to making sure your heating system works when you need it most. We recommend keeping a regular maintenance schedule of at least once a year, so we can find issues before they become big problems. With our help, you can keep your Denver heater repair costs down while ensuring your system is always ready for the next winter storm. When you sign up for a maintenance plan, we will send a Broomfield heating contractor out to your home before it gets cold outside. The contractor will look over the entire system, checking for anything that could go wrong during the winter months. That includes issues that could impact the system’s ability to run efficiently. This often includes changing the filters in the heating system. When you turn on your heating system, the filters get to work and remove contaminants, so they don’t make it into the air. The filters can become clogged over time. That means some of the debris will make it into the air, and your system won’t run as efficiently. Your heating contractor will inspect the filters and change them if necessary. Our Denver heater repair company can handle this issue quickly, so we will be in and out in no time at all. Our clients are constantly surprised by how much money they save when they schedule maintenance from a Broomfield heating contractor. Because our contractors are trained to look for issues when they’re still minor, our customers often save thousands of dollars in repairs. They also save money on their energy bills since our heating contractors make the systems as efficient as possible. 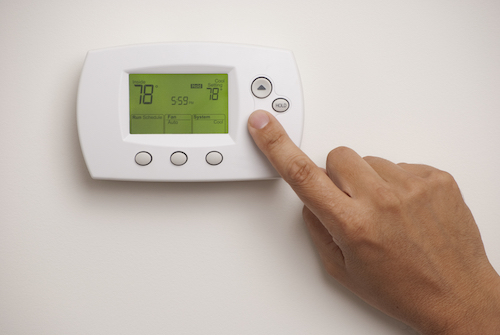 When your heating system doesn’t have to work as hard, it doesn’t use up as much energy. That’s great news for your bank account. It’s also good for the environment. Also, since these checkups are done before the cold winter months, the heating system is completely ready to go the first time you need to switch it on. Our Denver heater repair company is still on standby during the winter months, but if you have a maintenance plan, you likely won’t need us. Has your system seen better days? It might be time for a new heating system. Our team offers more than furnace maintenance and repairs. We can also help you choose a new unit, and we will install it for you. We install Goodman and Amana furnaces, and these appliances are built to last. We have various models, and we will go over each one to help you make a decision. Our team is honest about the cost of repairs and will help you decide if you should move forward with a repair or a new unit. 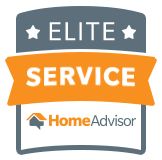 We are completely transparent and make these decisions easy for our customers. Don’t wait until you’re so cold that you can’t stand it. Contact us today to make sure your heating system is ready for the elements. With our help, you can stay warm and snug inside all winter long, and you can save money, too. Give us a call, so we can schedule an appointment.